When it came to using other musicians' works, it was still a bit of a free-for-all in 1990. Record companies and, more importantly, the courts had yet to get their heads around sampling, and no one really knew what the rules should be for lifting material from someone else's song. This week in 1990, the highest new entry on the ARIA singles chart was a single that featured a different type of uncredited usage - and the track in question would result in a lawsuit that'd literally change the face of popular music. Meanwhile, an old-fashioned cover version was still holding down the top spot on the Australian top 50, with Sinéad O'Connor's "Nothing Compares 2 U" at number 1 for a fifth week. Here's the only top 100 entry by a short-lived band from Sydney that featured ex-Status Quo member Alan Lancaster and John Brewster from The Angels among its line-up. This cover of the Sylvester disco classic actually ended up as my favourite song for 1990 amid stiff competition, but the rest of Australia was less interested in this solo offering from the former Communards and Bronski Beat singer. Not even the fact that Annie and Dave raided the dress-up box for its accompanying music video could provoke much interest in this third single from We Too Are One. 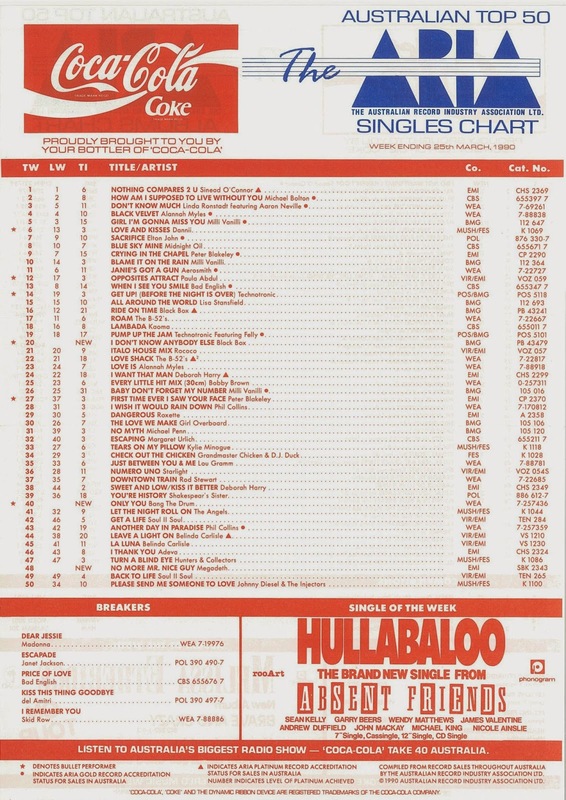 Although this was a slight improvement on the chart peak of "Oh Father", an animated pink elephant (and lemonade) wasn't enough to stop Like A Prayer's cutesy fifth single from getting stuck just outside the top 50 for three weeks (two at number 51, one at number 53). Actually, the shoddy music video - produced for the UK release - probably did more to hurt the song's chances than help it, since it's by far Madonna's worst clip of all time. The song itself has its charms and made perfect sense as a British Christmas single, but I'd have opted for US single "Keep It Together" or even album track "Till Death Do Us Part" instead for Australia. Until now, I would've been hard pushed to name a single song of theirs, but Megadeth are certainly one of the first bands that come to mind when I think of '80s heavy metal (not something I'm in the habit of doing very often, I might add). Along with Metallica and Anthrax, the American band's name conjures up memories of long-haired headbanging fans; angry, shouted lyrics and accusations of devil worship by America's Christian conservatives. Since Megadeth were never a mainstream concern locally, I was surprised to find they'd actually landed a top 50 entry in Australia, and nearly wrote about this song last week when it was a breaker. A cover of the 1973 hit (except in Australia) by Alice Cooper, "No More Mr. Nice Guy" was a stand-alone single from the band, recorded for horror film Shocker. With 1927 having exhausted their ...ish album for singles, there was a gap in the market for an inoffensive pop/rock outfit. Bang The Drum seemed to fit the bill, but debut single "Only You" was no "That's When I Think Of You", sounding instead like a Daryl Braithwaite album track. Nice, but average. You'd think Black Box would've learnt their lesson after "Ride On Time". Well, I guess they did to an extent. Instead of just lifting another line from Loleatta Holloway's "Love Sensation" for their follow-up to "Ride On Time", they actually re-recorded the hook they wanted from the outset. 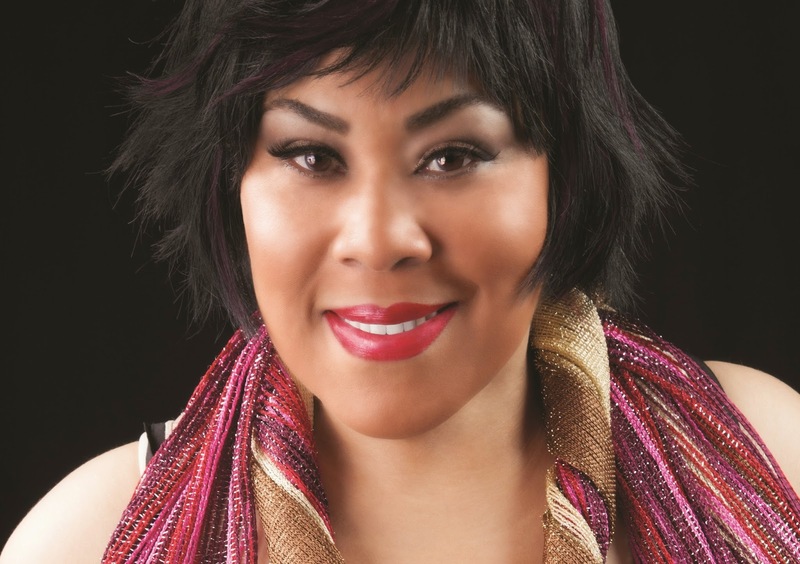 Well, when I saw "they", I mean "Martha Wash". Of course, Black Box didn't actually give the former Weather Girl any credit for her performance, with Katrin Quinol once again flouncing around and lip syncing in the music video. Martha sued, seeking credit for her vocal contribution to "I Don't Know Anybody Else" and other songs on Black Box's debut album, Dreamland, as well as royalties. Although the matter (and another against C+C Music Factory) was settled out of court, Martha received her due credit (and financial recompense). Moreover, her legal actions provoked new legislation in the US requiring proper credit be given on albums and music videos for vocalists. All that aside, "I Don't Know Anybody Else" was a worthy follow-up to "Ride On Time" and quickly shot into the UK and Australian top 10, spending three weeks at number 6 here. The Italo house classic also became Black Box's second of three hits (after "Everybody Everybody") in America, reaching number 23 Stateside. Next week: the best single by Janet Jackson, the highest-charting single by The Church and the second charting single by Bad English. I don't recall the Bombers' song at all. Surprised it's managed 10k views on youtube, albeit over 6 years. I'm pretty sure I never heard the Jimmy Somerville track at the time, but remember reading about it in Number One, and seeing the video (on mute... what was the point of that?) airing on a TV in Myer. 'The King and Queen of America' was OK, though somewhat dull... but much more interesting that the 4th single from the album, which I'm pretty sure didn't even receive a local release. 'Dear Jessie' was another Madonna track I liked, and another flop. Quite strange in retrospect that she had 2 consecutive flop singles in Australia at this point in her career, before any obvious 'backlash'. I wonder if 'Keep It Together' (which 'charted' in Triple M's Top 8 at 8) would have also flopped if it'd had a separate, proper (minus a video) release in Oz? It's not the kind of thing I'd normally listen to, but I loved the Megadeth cover, though it took a little while to 'click' with me. It even ended up on the 'Hits of 1990 Volume 2' compilation released around the same time. I downloaded the Bang the Drum track in 2006 after not having heard it since 1990. Yes it's MOR, but it still holds up well I think. Surprisingly, I'm pretty sure I hadn't heard 'I Don't Know Anybody Else' until it entered the top 50 at #20 on Rage. I was aware of its release, though. I actually prefer it slightly to 'Ride On Time', though I've never really understood what the title is supposed to mean (I don't know anybody else... as good as you? ).